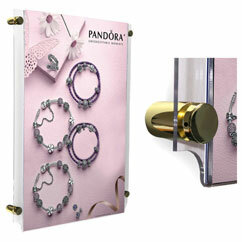 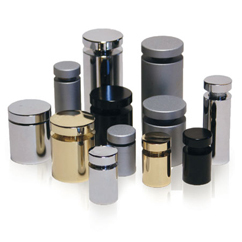 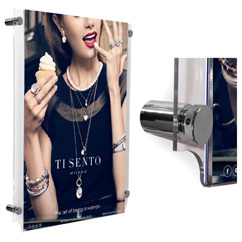 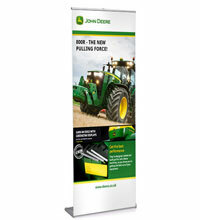 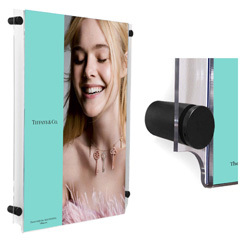 RAL Display supply a range of contemporary poster pockets supplied with SATIN SILVER, POLISHED CHROME, BRASS and SATIN BLACK metal sign supports. 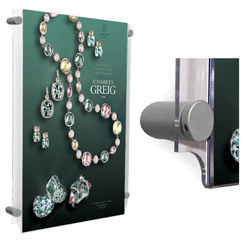 We also sell the sign supports separately so you can choose to mount your own perspex panels, boards, plaques and other signs. 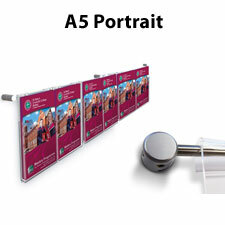 Almost all pockets including A4, A3, A2 and A1 require four sign supports with the exception of A0 portrait which requires six. 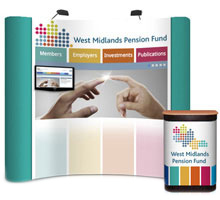 Speak to our friendly sales team on 0116 2554640 if you would like to discuss your project in more detail.